Middagkrans Metal Creations is a developing business with a fabulous range of custom made products. It is our passion to create practical products for home owners. Our leading product is our special Grubbs Up Dog Bowls in a variety of sizes and colours which your dearly loved dog will just love. 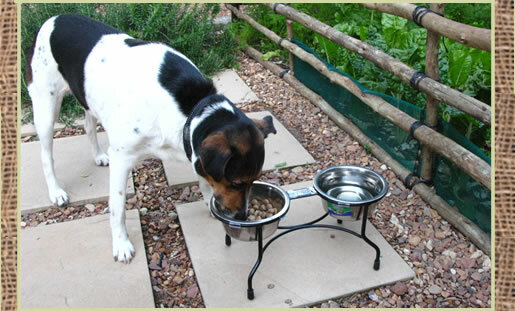 These raised bowls, mounted on frames, are perfect for dogs of all sizes, allowing your dog to eat in an upright position which is beneficial in every way. Older and arthritic dogs will just love you all the more for the better eating experience. They are also non-skid so that your dog will not have to chase its bowl around to get that last morsel. 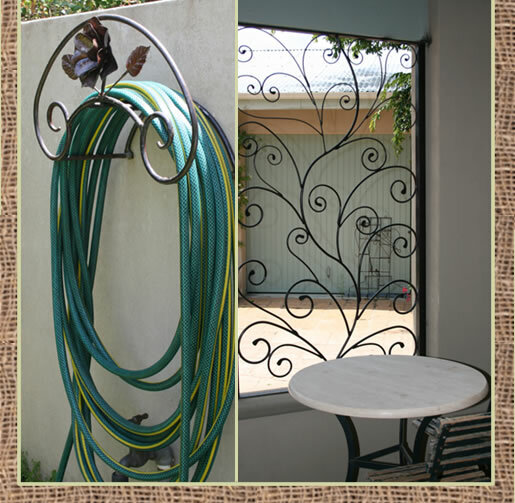 Our other very popular products are the Wall Mounted Bicycle Hooks which are a great way save space in your garage or home and our Decorative Garden Hose Reels. We also create decorative garden furniture, gates, burglar bars, metal clocks and decorative garden fountains, custom made herb garden boxes, hooks and unique name boards. Our metal products are made with galvanized metal for rust free perfection. For those who prefer an aged look we can treat all our products to produce a rusted antiquated look. We undertake big projects, transforming your garden and home into something spectacular and unique. Contact us for a consultation. 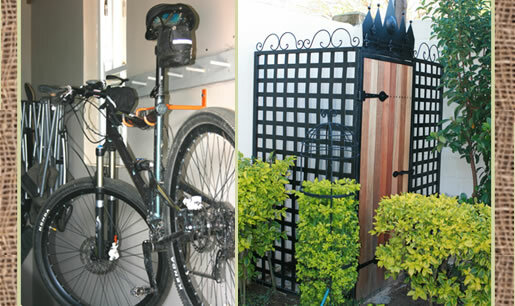 Franschhoek Metal Products. Middagkrans Metal Creations Franschhoek.